Dr. Schipper received his M.D. and Ph.D. (Neuroendocrinology) degrees at McGill University in 1982. His doctoral work was supervised by Dr. James Brawer (Dept. of Anatomy & Cell Biology) and demonstrated pathological effects of estrogen on the hypothalamic arcuate nucleus. He studied Internal Medicine at McGill University, Neurology at Columbia University, and Endocrinology at Tufts University. 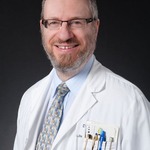 Dr. Schipper is currently tenured Professor of Neurology and Medicine (Geriatrics) at McGill, staff neurologist at the Jewish General Hospital, and consultant at other Montreal institutions. At the JGH, he was founding director of the Centre for Neurotranslational Research, a Biomedical Redox Laboratory and the Alzheimer Risk Assessment Clinic. He was also a founding scientist of Molecular Biometrics Inc.
Dr. Schipper’s long-standing research interests are in the fields of Oxidative Stress, Brain Aging and Neurodegenerative Diseases. Dr. Schipper has published over 170 articles on various aspects of the redox neurosciences and related topics in peer-reviewed journals and is an inventor on 14 patents. He edited 3 books, the latest a 3-volume set on Principles of Free Radical Biomedicine published in 2012. Dr. Schipper coordinates an interdisciplinary course on Free Radical Biomedicine in the Faculty of Science at McGill University, and is currently Chair of the Biological & Clinical Aspects of Aging Committee at the CIHR.